We are kicking off The Shacknews Awards 2018 by honoring a bunch of games, developers, and performances that stood out this year. Please take a look and check back all week for more awards. Check out our Shacknews Top 10 Games of the Year 2018 article. 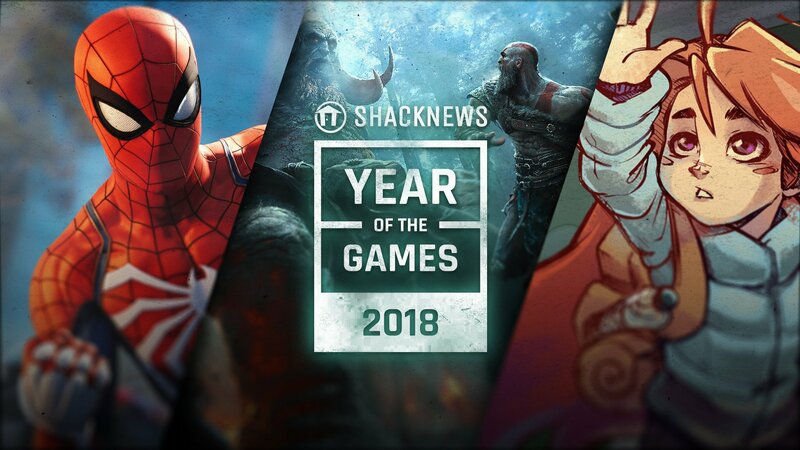 Check out our Shacknews Game of the Year 2018 - Marvel's Spider-Man article. Check out our Modojo @ Shacknews Mobile Game of the Year 2018 - Reigns: Game of Thrones article. Check out our Modojo @ Shacknews Nintendo 3DS Game of the Year 2018 - Detective Pikachu article. Check out our Do it for Shacknews Award 2018 - MegaMoose64 article. Check out our Shacknews Person of the Year 2018 - SonicFox (Dominique McLean) article. Check out our Shacknews Best Developer of 2018 - Epic Games article. Check out our Shacknews Best Publisher of 2018 - Sony article. Check out our Shacknews Best PC Game of 2018 - Subnautica article. Check out our Shacknews Best Nintendo Switch Game of 2018 - Super Smash Bros. Ultimate article. Check out our Shacknews Best PS4 Game of 2018 - Tetris Effect article. Check out our Shacknews Best Xbox One Game of 2018 - Forza Horizon 4 article. Check out our Shacknews Top 10 Indie Games of 2018 article. Check out our Shacknews Best Indie Game of 2018 - Celeste article. Check out our Shacknews Best FPS Game of 2018 - Battlefield 5 article. Check out our Shacknews Best VR Game of 2018 - Beat Saber article. Check out our Shacknews Best Early Access Game of 2018 - Hunt: Showdown article. Check out our Shacknews Best Sports Game of 2018 - Mario Tennis Aces article. Check out our Shacknews Best Story (Non-Narrative) Game of 2018 - Sea of Thieves article. Check out our Shacknews Most Improved Game of 2018 - Destiny 2 article. Check out our Shacknews Most Overlooked Game of 2018 - Ashen article. Check out our Shacknews Best Narrative of 2018 - Marvel's Spider-Man article. Check out our Shacknews Best Hardware of 2018 - Xbox Adaptive Controller article. Check out our Shacknews Best Art Style of 2018 - Sea of Thieves article. Check out our Shacknews Best Comeback of 2018 - Capcom article. Check out our Shacknews Best Fighting Game of 2018 - Dragon Ball FighterZ article. Check out our Shacknews Best Graphics of 2018 - Red Dead Redemption 2 article. Check out our Shacknews Best RPG of 2018 - Monster Hunter: World article. Check out our Shacknews Best Co-Op Game of 2018 - Overcooked 2 article. Here are some more of The Shacknews Awards 2018. While many games had a major impact on the cultural zeitgeist of video games specifically, none had as much of an impact on pop culture at large as Fortnite did. Whether it was celebrities like Drake playing with Twitch influencers or the kid next door who wouldn’t stop talking his favorite battle royale game, Fortnite seemed inescapable in one way or another. Then there’s all the dancing: just look up “Fortnite dance” on Google and you’ll be treated to an endless cavalcade of everyone from PGA pros to the former first lady Michelle Obama flossing, disco dancing, and doing every other victory dance you can think of. Fortnite even had enough clout to get Sony in on the cross-platform play conversation. While its external influence grew, Epic Games kept things interesting within the game itself thanks to some unique concepts. There were several in-game events that happened once and only once and were never seen again. One of the most prominent events involved a giant purple cube traveling around the battle royale map until reaching some sort of event horizon. Several seasons worth of new victory dances and costumes along with the introduction of golf carts and new weapons helped keep gameplay fresh as well. Beyond all that, there was all the merchandise including action figures, pickaxe replicas, llama pinatas, and a hefty selection of Halloween costumes just to name a few branded official products. Between its cultural reach, celebrity influence, in-game events, and victory dances, Fortnite definitely made its mark as a trendsetter in 2018. No one saw Nintendo Labo coming, but it was a vintage move by the Big N. The announcement shook the Internet, with Nintendo Labo trending on social media platforms. Labo released on the same day as God of War and highlighted how Nintendo views their place in video games. The company always seeks to surprise and delight their players and Nintendo Labo did just that. Congratulations to the Big N, The Shacknews Award for Biggest Surprise of 2018 is yours! The last time the gaming world saw a God of War game, the franchise was running on fumes. The series had run its course and Sony Santa Monica had run out of tales to tell about its enraged, revenge-fueled frontman. The new God of War rejuvenated the franchise, giving Kratos an entirely different path that sees him build on his past while also pursuing something new. But the story isn't the only place where God of War felt like a new game. God of War's action feels far more refined than ever before. It's been reinvented from the QTE-fest of the old trilogy, now feeling more like a satisfying 3D hack-and-slash fest. There's also a heavy degree of strategy involved, with Kratos using two distinct sets of weapons to dismember his enemies. Whether it's a sea of monsters or a larger-than-life boss, the God of War combat feels as visceral as it ever has. But combat is only one part of the journey and God of War's world is filled with exploration opportunities across the nine realms. The puzzles are inventive, using father-son teamwork to open paths forward and get through long stretches of dangerous terrain. And it's terrain that goes from the very depths of Muspelheim to the very belly of a giant sea beast. The new God of War is an incredible experience at every turn, bigger in scope than the original trilogy, but with the bone-crunching action feeling every bit as satisfying. Tetris Effect has some of the best sound design that we have witnessed in years. Everything in the game revolves around sound. Synesthesia is at the core of many projects from Enhance Games, and this was definitely the case in the latest variant of Tetris. Moving pieces, clearing a tetris, and even transitions between levels all have their own audio counterpart. Visuals, music, and sound effects all work together in the game to create a very unique experience and one that felt like a truly new Tetris game. The team at Enhance Games, Monstars Inc., and Resonair deserve extremely high praise for their great achievements in video game sound design. Congratulations, Tetris Effect has won the Shacknews Award for Best Sound Design of 2018. Congratulations to Dontnod! Vampyr is the Shacknews Best Horror Game of 2018! Dontnod launched itself into notoriety with Life is Strange and followed it up with a couple of titles that added to the narrative-driven game’s universe, but Vampyr is an impressive curveball from the studio. The game incorporated one of Life is Strange strengths, having player’s actions greatly influence the game’s world, but there’s a specific hook that gives it its own flavor: You are the horror in this world. 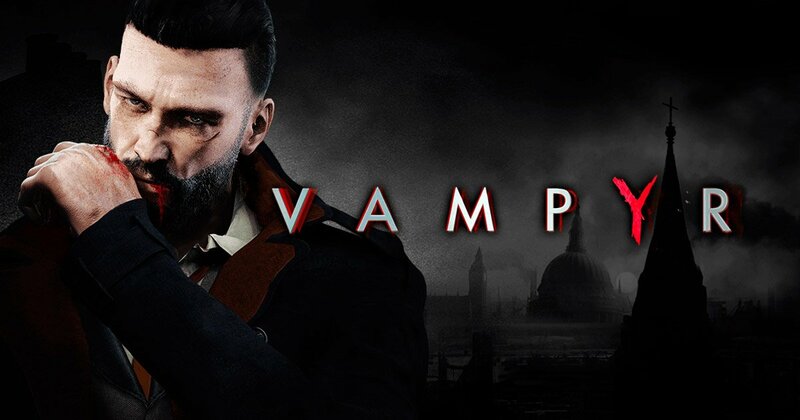 Vampyr casts you a newly afflicted nightwalker that must deal with his affliction while maintaining order or sewing chaos in the streets of London in 1918. How these things are done is totally up to the player. You could completely avoid feasting on the city’s citizens, pick-and-choose your victims based on your judgment, or drink from every single one of them. Whatever your choice, there will be consequences. The game strikes a wonderful balance of city-management where you monitor the health of citizens and investigate their lives while also unfolding the larger mystery of your new role as a vampire. Combat can be avoided a great deal if you wish, but the fighting is engaging. It’s a slower-paced system than what one would expect from controlling a powerful vampire, but it's rewarding once you get a firm grasp. Overall, the game’s individual pieces create an action/horror experience that players shouldn’t miss out on. Dontnod also created a monster hierarchy that will be exciting to explore in future games, as well. Vampyr is truly deserving of the Shacknews Award for Best Horror Game of 2018. Octopath Traveler scratched the old-school JRPG itch for many Switch players this year. Even though most gamers are perfectly happy with the rapid-pace evolution of modern video games, many others find themselves yearning for a simpler time; a time when characters were represented by sprites, when story was told through lengthy bouts of text, and when mastery of mechanics came through slow-but-steady progress. Plenty of 2018 releases went after these old-school highlights, but none of them managed to nail down the retro-throwback feeling quite as well as Octopath Traveler. Developed in part by the longtime JRPG experts at Square Enix, Octopath Traveler manages to perfectly walk the line between new-school mechanics and old-school charm. The "HD-2D" graphics look and feel almost exactly like our old 16-bit favorites, save for a bit of added flair through subtle touches like particle effects and real-time lighting. On the other hand, the battle system, the characters, the story, and the massive world all feel reminiscent of the golden era of JRPGs. More than the throwback aesthetic and old-school design principles, Octopath Traveler manages to pull off one very difficult trick: to stoke players' nostalgia without boring them. Recent JRPG releases like Lost Sphear or Secret of Mana tried and failed to capture the old-school magic because they banked on the idea that players just want more of the same old mechanics. Even though Octopath Traveler is built on those familiar foundations, it still manages to feel fresh, interesting, exciting, and most importantly, endearing. The idea of climbing a harrowing mountain sets the stage for quite the platformer. But those players who jumped into Celeste likely didn't have an idea of the level of challenge that faced them. Madeline doesn't start off with many skills, but the early sequences serve to test players' mettle out of the gate. As she gains more and more skills, players are presented with the challenge of chaining together her various moves to make it through mind-bending stretches in one piece. There are spike beds, death pits, slippery surfaces, and the occasional killer enemy that relentlessly pursues Madeline all over the place. And the difficulty only gets ramped up if you want to collect all of the strawberries and the B-Side tapes, the latter of which open up even greater challenges. Celeste's platforming mechanics are more than enough to make the game stand out, especially as Madeline learns more skills. But what makes Celeste a platformer worth sticking with are the instantaneous load times after dying and also the death count itself. Nothing makes you want to see a platformer through to the end than a death count in the hundreds staring you in the face and taunting you. Roger Clark's perfomance of Arthur Morgan earned him the title of Shacknews Best Voice Actor of 2018. 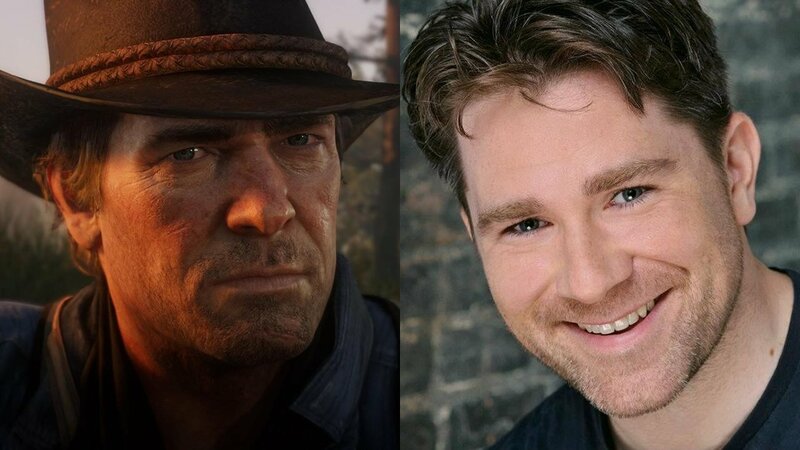 The Shacknews staff had a wide range of opinions when it came to Red Dead Redemption 2 and its place among the various awards categories, but it was nearly unanimous that Roger Clark deserved the award for Best Voice Actor of 2018 for his portrayal of Arthur Morgan, which included not just voice but also performance capture. The heart and soul that Mr. Clark poured into bringing Arthur to life was incredible, and the recognition he’s getting from gaming journalists and players alike is heartwarming. Sea of Thieves definitely turned many heads this year with its emergent gameplay pirate experience, but one thing hits players the minute they set sail. The water in Sea of Thieves is amazing. It is graphically impressive, and it influences gameplay in a truly immersive way. Rare nailed how boats roll in waves, and had players frantically bailing water with buckets when they found themselves in peril. Sea of Thieves may win some other awards this year, but we are extremely proud to present Rare with The Shacknews Award for Best Water of 2018. We aren't done giving awards to Tetris Effect yet, and we are happy to present Enhance Games with The Shacknews Award for Best Puzzle Game of 2018. This brand new take on the Tetris formula is one of the best puzzle games to be released in recent history, and is a great addition to PS4's lineup of awesome exclusives. Making Tetris Effect even more unique is the option for PSVR gameplay. Virtual reality Tetris was not something we thought we needed, but now we can't imagine living without it. Congratulations to Enhance Games. You folks have created the next legendary entry in Tetris franchise history. Hitman 2 has a mighty fine headshot. The Shacknews staff had a bit of discussion about what exactly qualifies a game for the Best Headshot award. We decided it's not about exploding skulls or creative penetration, nor is it necessarily about frequency, duration, or elaborate headshot animations. It's about the type of headshot that's most satisfying to the player, be it one that feels solid in execution or one that feels like its own sort of reward. And in this specific circumstance, headshots in Hitman 2 are the clear winner for best of 2018. IO Interactive's latest stealth title is all about planning and execution, leading to some of the most satisfying kills we've seen this year. For all the game's creative assassination opportunities, headshots are particularly interesting because of the noise, the mess, and the attention they draw. It's easy to go in with guns blazing, but that's not really what Hitman 2 is about. It's about tracking a target, learning their patterns, and waiting for the right opportunity before taking action. If the objective can be carried out with a bullet to the brain, all the better for it. There may be no giant flying gibs or fountains of blood, but the headshots in Hitman 2 are no less satisfying. 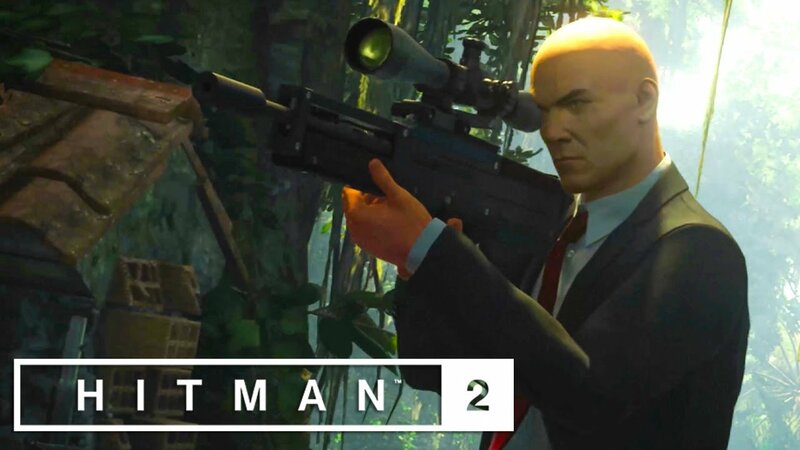 Whether it's sneaking a rifle through security gates to snipe an F1 driver mid-race, knocking out a fleeing witness with a massive homing briefcase, or just popping one into a target's head while they're crouched vomiting, Hitman 2 has headshots that never fail to entertain. Destiny 2 kicked it up a notch with the Forsaken expansion this year. Destiny 2 had a great launch, followed by a mostly rocky 2018 once the casuals left. 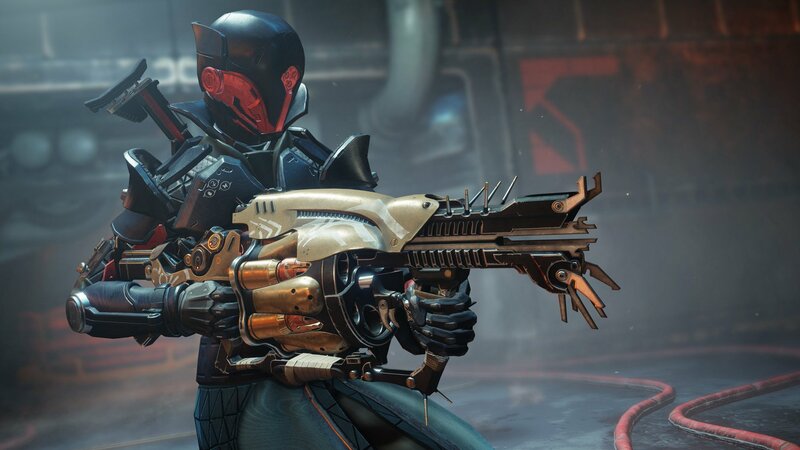 The game received great reviews from journalists who didn’t have 200 hours to fully explore the end-game content, but when all the launch dust settled, there were problems in Destiny 2 and remaining players were quick to bring them to Bungie’s attention. Besides the fact that Bungie pushed Eververse (microtransaction center) for shaders, ships and sparrows, there was the underwhelming Curse of Osiris DLC complete with the Infinite Forest, which feels like one of the biggest misses in the franchise’s five-year history. That’s what makes the Destiny 2 turnaround even more impressive, though. Bungie’s response to community backlash wasn’t quick by any means, but over the course of 2018 the developer took dozens of small steps to improve the experience, culminating in Destiny 2: Forsaken. The DLC introduced two completely new regions with the Dreaming City and the Tangled Shore, the former being one of the finest examples of an ever-changing environment with seemingly endless opportunities for exploration and lore. Destiny 2 has a long way to go, but considering there were taking a Bethesda-like beating (maybe not quite as harsh) earlier this year, the quality of the Forsaken DLC and turnaround of the game is impressive, and deserving of Best Expansion of 2018. The Noctua NF-A12x25 PWM 120mm Fan is our Shacknews Best Gaming Accessory of 2018. As varied and diverse as the cast of games in 2018 has been, it probably shouldn’t be a big surprise that the selection of new gaming accessories has also been unique. Against a wave of new controllers, mechanical keyboards, and mice, Austrian fan maker Noctua supplied the most outstanding upgrade for PC gamers in 2018. The company’s new NF-A12x25 PWM fan is the result of five years worth of research and design, resulting in the quietest and most efficient 120mm fan that you’ll find on the market. Through the use of a new liquid crystal polymer material that Noctua has dubbed Sterrox, the NF-A12 offers a generational leap over the company’s already outstanding fans. The new Sterrox material allows Noctua to stretch than fan blade closer to the chassis than ever before, resulting in boost to static pressure. Modern CPU coolers and radiators have tightly-packed arrays of metallic fins that help dissipate heat. To effectively push air through these fins, a high amount of static pressure is required. The NF-A12 offers top-tier static pressure across its fan curve, all while running quieter than before. Like most Noctua fans, the NF-A12 is only offered in a poop-colored paint job, which will disqualify it from many builder’s lists, but the unique look has been a company trademark since its inception. Those who want the best possible cooling performance without sacrificing silence will love the NF-A12. It is rather pricey, but you get the best collection of accessories on the market, as well as a 6-year warranty. Noctua has plans to offer a 140mm version of the new design sometime in 2019 and we can’t wait to see how it will perform. Finnish developers Bugbear Entertainment are widely known for their work on the Flatout series, as well as making Ridge Racer: Unbounded for Bandai Namco in 2012. Afterwards, the company settled in to work on a passion project that was originally known as Next Car Game. Next Car Game was revealed alongside a crowdfunding campaign that promised the ultimate version of a Flatout-style racing game with state of the art damage and destruction. After the proposed 2014 launch window came and went, the game struggled in early access hell. After partnering with THQ Nordic in early 2018, the team finally released the game, under its new name Wreckfest, in July of this year. Despite the issues it faced during early access, the launch version of Wreckfest was a real gem. It managed to offer an unmatched level of destruction and mayhem, while still providing a solid driving simulation. Wreckfest has a decent collection of single-player modes, but it truly shines in multiplayer. Drivers can hop into dedicated servers with up to 23 other drivers across a wide array of modes and environments. If there is not a full roster of players in a server, the admin has the option to populate the open slots with AI-controlled bots, so the action stay frantic and chaotic. Few games released this year can match the pure fun of multiplayer Wreckfest. Sadly, the player base averages just under 500 players worldwide on any given day. Setting up a dedicated server to play with friends is far from painless, so arranging impromptu sessions requires more effort than with most games. The server software also has very high requirements of the hardware and network on which it runs, and you simply don't see third-party server rental outlets offering support for the game. A console port of the game is in development and should arrive some time in 2019. Hopefully the optimizations and advancements made during its development can find their way into the PC version. Wreckfest is one of the most fun games of 2018 and deserves to be played by a much wider community. There wasn't much competition this year for best cameo, but Rob Schneider totally stole the show with his performance in Madden NFL 19. Schneider played the GM of the Dallas Cowboys in the Longshot story mode, and entertained players with his love of bikram yoga and solid one-liners. Such charisma has lead Rob Schneider to win our Best Cameo fo 2018 Shacknews Award. There are tons of games that should be on Switch. Earlier this year, our CEO suggested that Sea of Thieves could have been a Donkey Kong game. Rare and Nintendo have a complicated past, but Sea of Thieves would have been an amazing addition to the Switch platform. The game could also have used some added charisma in the form for the DK crew. Sadly, this is wishful thinking as Microsoft owns Rare, and there are a ton of games that could have won this award this year. Overwatch, we're looking at you. Though there were several contenders for the video game with the best music of 2018, none ever truly found integration with their soundtrack in the way Tetris Effect did. Each and every track featured throughout the game was more than just an accompaniment to the visuals, it was woven into the very fabric of Tetris Effect itself. The measured buildup of hopeful EDM track "Connected (Yours Forever)" sailing resolutely over neon dolphins and a sea of neon lights made for an experience we hadn't quite seen before in a game for some time. The fiery "Ritual Passion" is an incendiary experience that meshes thumping beats with visuals meant to represent the ancient Balinese ritual called the Kecak Dance. A jazz-laden cityscape is showcased with "City Lights," and the game closes out with the hopeful "Always Been But Never Dreamed," which is a transcendent experience that has to be heard to be believed. There's a message of bettering yourself and empowerment that can be felt resonating throughout the entire game, and for that it's better than any country-western Red Dead Redemption 2 track or generic strings. It's truly fantastic, and a setlist that needs to be appreciated both in and outside of the game. Congratulations to all of our winners this year! Thanks for all of your hard work. Do it for Shacknews! I'm a big fan of noctua also. This reward is a breath of fresh air. Very cool! Heh, surprised to see Vampyr in there, especially as a horror game (it’s more of an action adventure). But it’s got a fantastic sense of environment and some memorable moments, so yay DontNod. I’d pick Remothered: Tormented Fathers as the actual horror game of the year (haven’t played the Cthulhu game yet, though). When is the Chatty GOTY article?